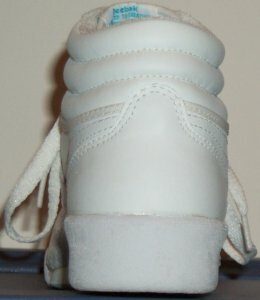 The comparison covers side, front, and heel views. 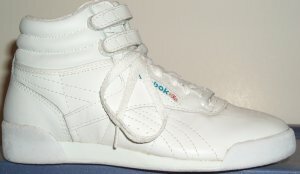 Reebok also made the Freedom female aerobics shoe, which is similar to the Exertion... but no pictures. 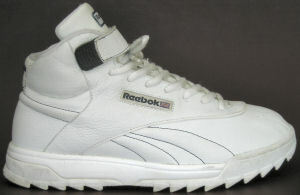 The Ex-O-Fit has reinforced sides and a single ankle strap. 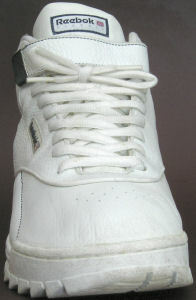 The ankle collar slants down steadily from the toe side to the heel side. There is visible stitching along the toe and the heel. 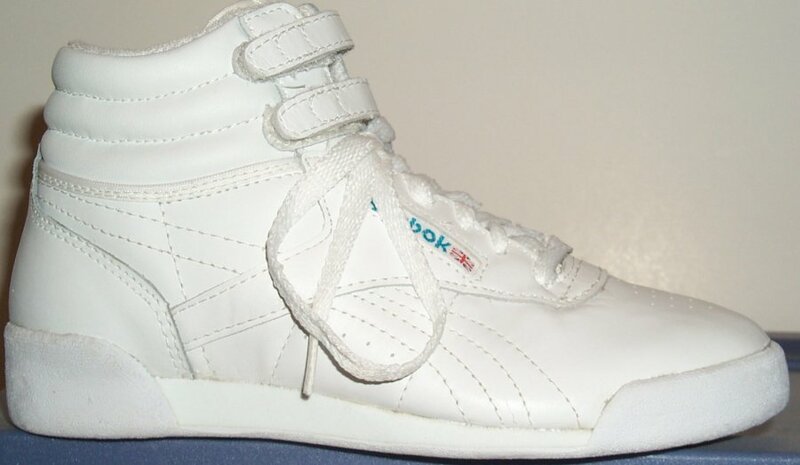 However, the Freestyle has no side reinforcements and two ankle straps. 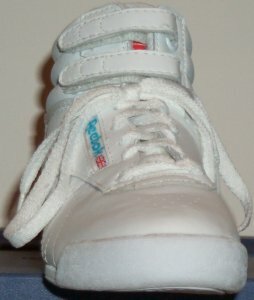 The ankle collar rises slightly towards the heel side. 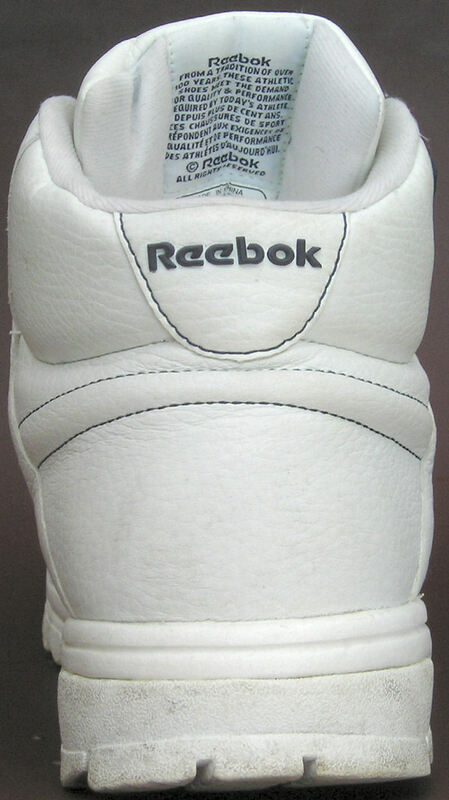 There is no visible stitching along the toe and the heel. 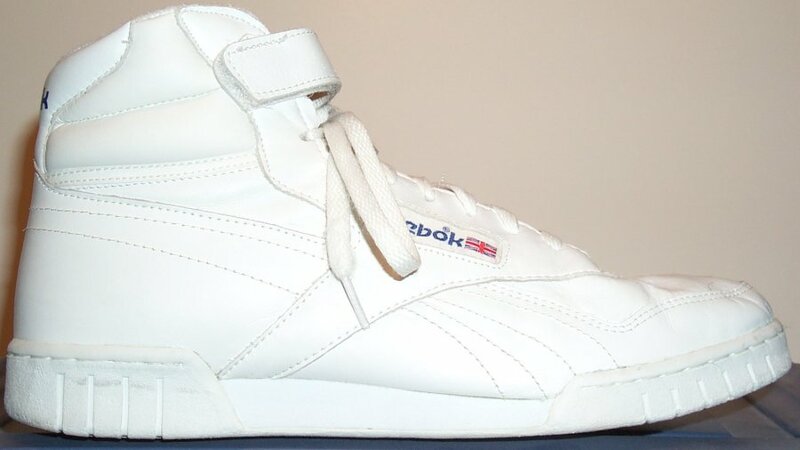 The Classic Exertion has no side reinforcements and a single ankle strap. 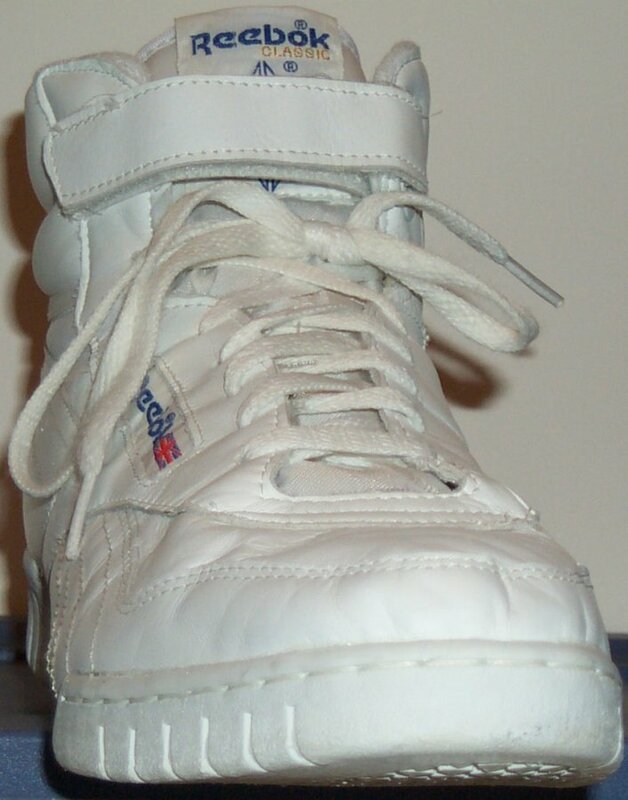 The ankle collar slants down from the toe side to the heel side. There is visible stitching along the toe, but there is no visible stitching along the heel. 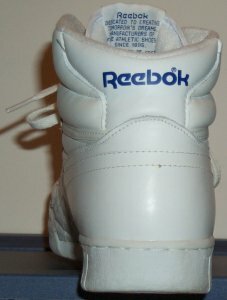 Left (Ex-O-Fit): a flex notch directly below the top eyelet. 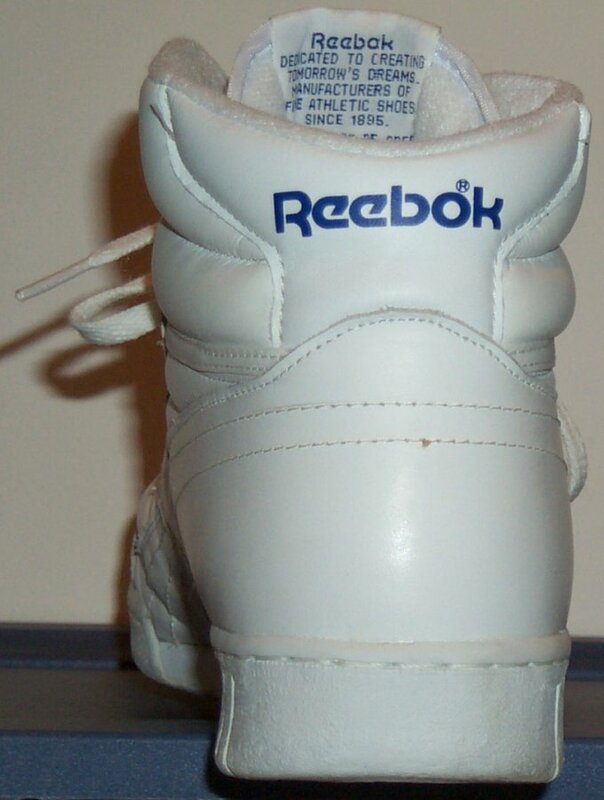 Center (Freestyle): no flex notch. Right (Exertion): a smaller flex notch directly below the top eyelet. Left (Ex-O-Fit): ankle collar reinforcement and brand name visible from the rear. 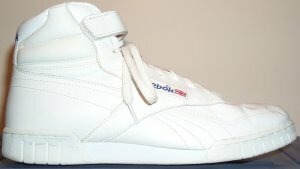 Center (Freestyle): no extra reinforcement, no brand name labeling. Right (Exertion): less ankle collar reinforcement, a smaller label.